Cape-Able Canines will not train your dog for you; we will train YOU to train your dog. We use gentle lure and positive reinforcement methods combined with effective correction; we place a special emphasis on socialization. Learning is a lifelong process - for people and dogs. The old belief that dogs shouldn't begin training until six months of age was promoted for the convenience of the instructor and not for the benefit of the dog. Experts have established that the more highly socialized a dog is at an early age, and the earlier training is initiated, the more stable the dog. Cape-Able Canines offers puppy classes for dogs from 3 to 6 months of age. 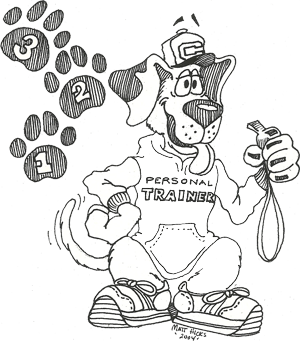 Our General Obedience classes are for dogs 6 months of age to thirteen years…and older. You can teach an old dog new tricks! We believe that training is an on-going process that continually enriches the relationship between owner and dog, so we offer a variety of advanced and specialty classes to help make training fun for dogs and owners. If you own a dog - or hope to own a dog - you can benefit from classes! Even experienced dogs and their handlers profit from the structure of a class. Effective professional trainers take classes from one another to learn and practice new techniques, and to give their dogs the benefit of additional socialization. Classes give you renewed motivation to train independently, and a public place to ""boast and brag" - show off what your dog has learned. If you've taken an obedience class before, you know that you need to work with your dog on an on-going basis, but you may not be able to ever quite find the time. Rather than feeling guilty about what you should be doing, you can enroll in a class and guarantee that your dog will be getting practice, socialization and quality time with you at least once a week!